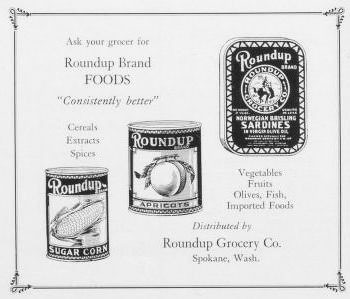 Ask your grocer for Roundup Brand Foods. "Consistently better" Cereals, extracts, spices, vegetables, fruits, olives, fish, imported foods. 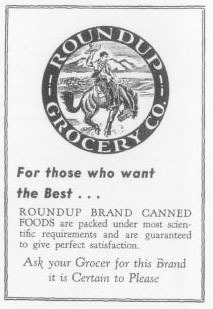 For those who want the best... Roundup Brand Canned Foods are packed under most scientific requirements and are guaranteed to give perfect satisfaction. Ask your grocer for this brand. It is certain to please.